Instructions Stuffed Mushrooms. Preheat oven to 400°F. Clean the mushrooms with a damp cloth. Remove and trim stems; chop stems and reserve. Arrange the mushroom caps on a parchment-lined baking sheet.... If you want, add some mozzarella cheese for the last 4 minutes of baking and add a twist to your stuffed mushrooms. Or wait until the mushrooms are out of the oven and do what some of the folks over at ChowHound.com do: add some feta or goat cheese. 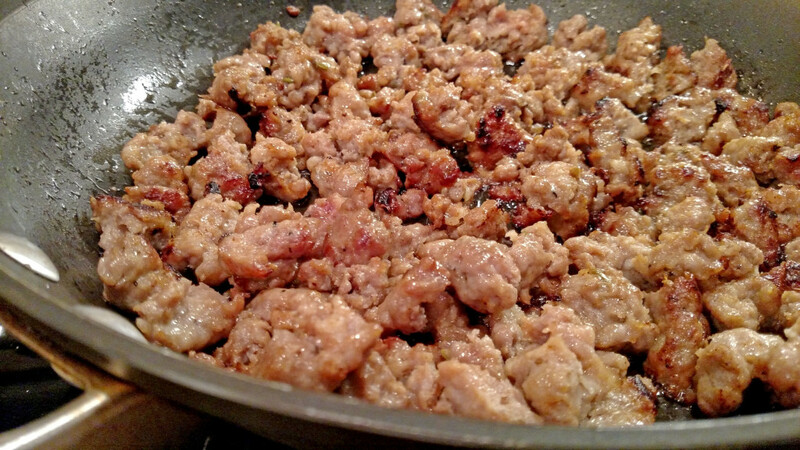 Simple stuffing with garlic, shallots and sausage. Baking the mushrooms allows them to soften slightly and really brings the flavor out. Preheat oven to 400°. Remove stems from mushrooms and reserve for filling. Place mushrooms on baking sheet with hollowed side down and drizzle with olive oil... Baked Italian Sausage and Parmesan Stuffed Mushrooms, a fast and easy appetizer. Baked in a little white wine, so delicious. Baked in a little white wine, so delicious. I first tried Stuffed Mushrooms when my friend made them in Canada and I was hooked. Preheat oven to 400°. In a large skillet, cook sausage, onion and garlic over medium heat 6-8 minutes or until sausage is no longer pink and onion is tender, breaking up sausage into crumbles; drain.... Directions. Preheat oven to 400°. Remove stems from mushrooms; place caps in a greased 15x10x1-in. pan. Finely chop stems; wrap in paper towels and squeeze to remove moisture. Line all the stuffed mushrooms on a baking sheet, and place in the oven. Cook for about 40 minutes or until the stuffing is browned and crusty. Remove from the oven and serve while warm. These sausage stuffed mushrooms are mushroom caps filled with Italian sausage, herbs and three kinds of cheese, then baked to golden brown perfection. Arrange the mushrooms in a baking dish large enough to hold all the mushrooms in a snug single layer. Bake until the stuffing for 50 minutes, until the stuffing is browned and crusty. Bake until the stuffing for 50 minutes, until the stuffing is browned and crusty. Directions. Ingredients and Directions. 1. Preheat oven to 500 °F. 2. Heat a large skillet over medium high heat. Add oil and mushroom caps and season caps with salt and pepper.